The professionally-designed course plays over easily walked terrain with silica sand bunkers and six spring-fed ponds providing a challenge to all levels of golfers. 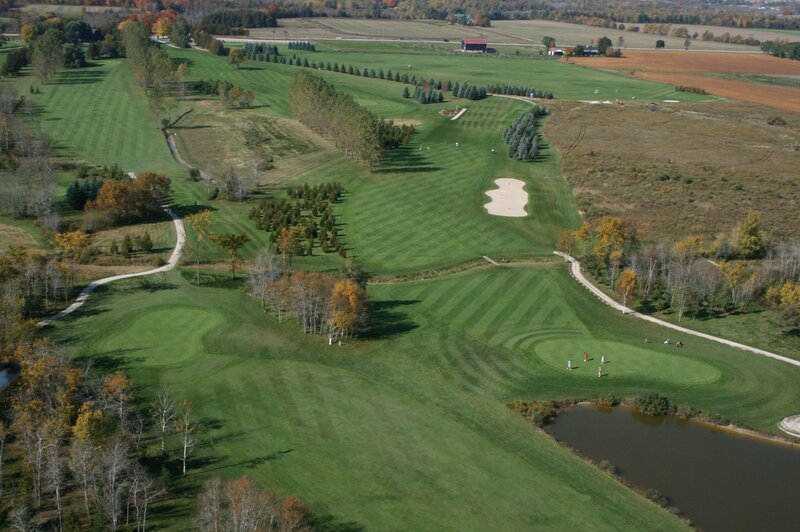 Shelburne Golf & CC has one of the finest practice facilities in Southern Ontario including a 10,000 square foot putting and chipping green with practice bunker and a one third of an acre grassed tee area with six strategically placed target greens. To satisfy those food cravings the clubhouse offers homestyle cooking in a relaxed atmosphere inside or out on the patio.The clubhouse includes a licensed restaurant and banquet facilities for 160 in a beautiful new banquet room overlooking the ninth and eighteenth greens. Please note that Shelburne Golf & CC is a fully-licensed facility. The liquor laws of the Province of Ontario do not permit personal alcohol in the clubhouse, parking or golf course. On warm and busy days a beverage cart circulates throughout the course for your convenience. The full service Proshop offers a wide range of clubs, balls, shoes, bags, shirts, sweaters, and wind and rain apparel for all golf needs.